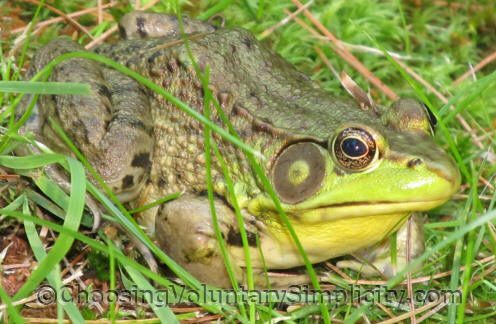 How can you tell if a frog is male or female? Look at the ear circles and the color of the throat! 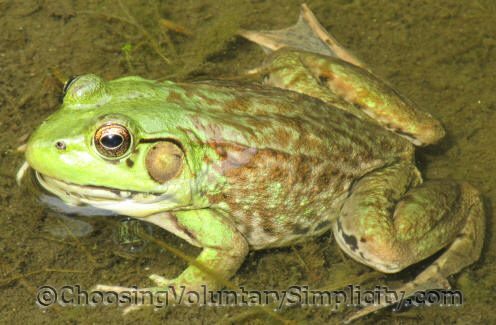 I had no idea you could tell if a frog was male or female just by looking at them. Thanks for the information. I always learn something new here and enjoy myself in the process. Great blog, keep up the good work! My 10year old had to do a science class paper on amphibians. He used this post as his idea and drew diagrams of male and female frogs showing how to tell them apart. He got an A+ for his efforts and he wanted me to tell you thank you from him. His name is Brian. Brian, congratulations on the A+… and thanks to both you and your mother for sending me the email copy of your science paper. Good job! I have bull frogs in my fish pond, don’t know were they came from but they have been here for years. love to here them at night.